Acclaimed scholar Kathryn Sikkink examines the important and controversial new trend of holding political leaders criminally accountable for human rights violations. Esteemed international relations scholar Kathryn Sikkink offers a landmark argument for human rights prosecutions as a powerful political tool. She shows how, in just three decades, state leaders in Latin America, Europe, and Africa have lost their immunity from any accountability for their human rights violations, becoming the subjects of highly publicized trials resulting in severe consequences. This shift is affecting the behavior of political leaders worldwide and may change the face of global politics as we know it. 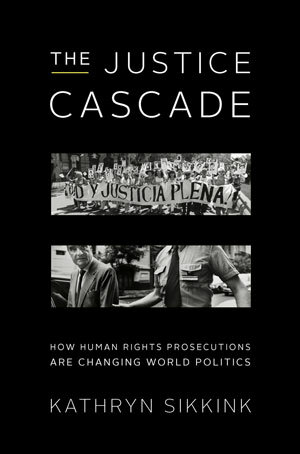 Sikkink presents her groundbreaking quantitative research to analyze the effects this “justice cascade” has had on democracy, conflict, and repression and reveals what political and social conditions are and aren’t required for human rights trials to be effective. 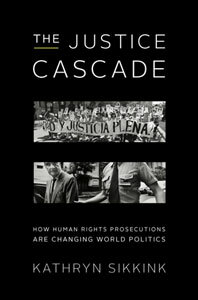 Engaging, analytical, and prescient, The Justice Cascade is a perfect book for international relations and human rights courses. Interlude: How and why does the Argentine experience spread? Part III - Do Human Rights Prosecutions Make a Difference? 7. Is the United States Immune to the Justice Cascade?